In this episode Joel and Antonia talk about using personality types in business, hiring and designing your career. 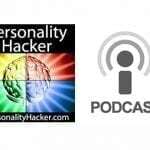 This podcast episode talks about where and when it is appropriate to use personality types in business. One of the best things in understanding personality psychology is that it showcases the personality type of the business owner or the person/department who does the hiring. If they are not careful, they will keep on hiring people like them. The implementation of personality types can point out creating a team of people who have the same blind spot. Personality psychology help employees understand each other. Once an employee understands himself, he unconsciously gives permission to the other team members. Being able to incorporate this in your business allows you to start thinking in terms of your customer and not just your team. You are also able to relate with people better and create strategies on how to position yourself in your career in alignment of your personality type. Understanding how to figure out what somebody else’s personality type is allows you to figure out all the existing blind spots and shed a light as to why you’re having trouble communicating with your team or manager. It lets you identify how you can effectively communicate with the person you want to talk to. Personality types in business can be very good to place/assign the right people on the right role. It’s basically a matter of matching people with their natural flow state. When you know personality psychology, you will know how to work with their energy which will result in an ergonomic job fit. Using personality assessments in hiring can be rely great in getting the right fit on behalf of the person who’s getting the position. Active Profiling – Process of asking employees a series of questions that help identify their personality type. Passive Profiling – Observing someone’s behavior and determining their personality type from a distance. Understanding where you can fit and lead in the industry will help you create great things. If you don’t understand how personality psychology works, then you can be discriminatory against people because you see some qualities on them that may or may not be accurate. In relationships, your personality types are not as important as shared interests and values. If you’re looking for someone who’s going to be a great fit for the company, their values, characteristics and interests should be considered as well. Make sure that you are assessing the person holistically and not just a 4-letter code. There are a lot of benefits in knowing and understanding personal psychology in a business context as long as you recognize that your level of education on the topic is relevant. You want to make sure that you know and understand what you’re taking about. Don’t over-rely on information that you have superficial understanding with, do a deep dive and understand the content before implementing these strategies. This was a cool episode! I almost skipped it because I thought I wasnt interested in applying this into the business world but it actually opened a new door of opportunity for me. I am curious though how exactly you are able to profile a group of people at work in such a short time frame. Are you asking them to take a test or are you able to read each one within a day timeframe? So if I understand correctly hiring ergonomics is about matching the driver and co-pilot processes to the most appropriate role in the company. For example a harmony person will be best suited at customer support pleasing customers and the accuracy person alone in a room with closed door doing some coding stuff. Basically. It’s about matching roles to how the people, themselves, feel best. A Harmony person doing customer support may be great for some types (say, ESFJs or ENFJs), but an INFJ (Harmony co-pilot) might find support exhausting, and you won’t get the production out them that you would a Harmony driver. Julie, it may be totally unrelated but I’d recommend you to read Robert Redford biography http://www.amazon.com/gp/aw/d/0307475964?pc_redir=1411904151&robot_redir=1 it gives great insight on an INFPS perspective, specially when it comes to personal choices and decisions related to work and career! Thank you, Julian! I’ll definitely check it out! Oh, and I’m an INFP! Thanks Julie for your comment. As a fellow NFP I can totally relate. What is your new business around? Hi Joel! It’s an energy coaching biz focusing on stress release/management. 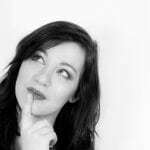 I’d love to include other passions of mine like vedic astrology and personality typing systems as they are extremely insightful and have helped me eliminate a lot of the confusion and related anxiety around understanding myself and my path in life. Julie, Sounds like a good business for you. Once you get some online links together share them with us over on the Facebook page (http://facebook.com/personalityhacker) so the entire Personality Hacker community can check them out.